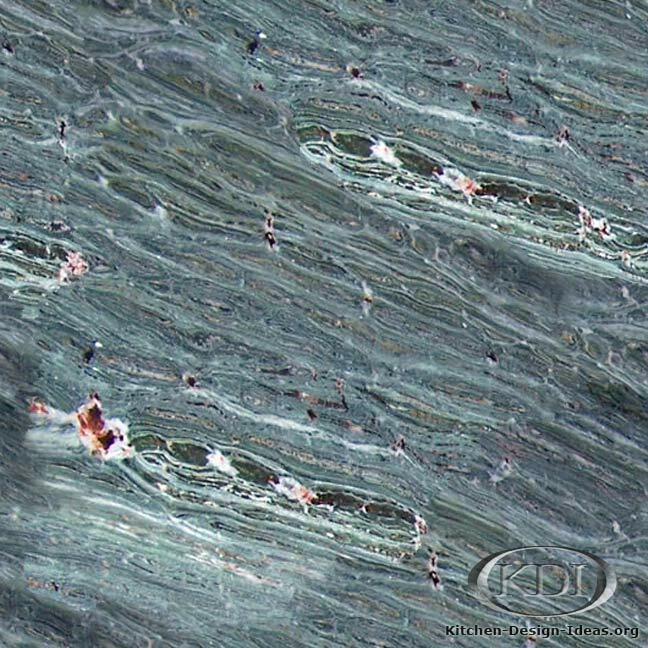 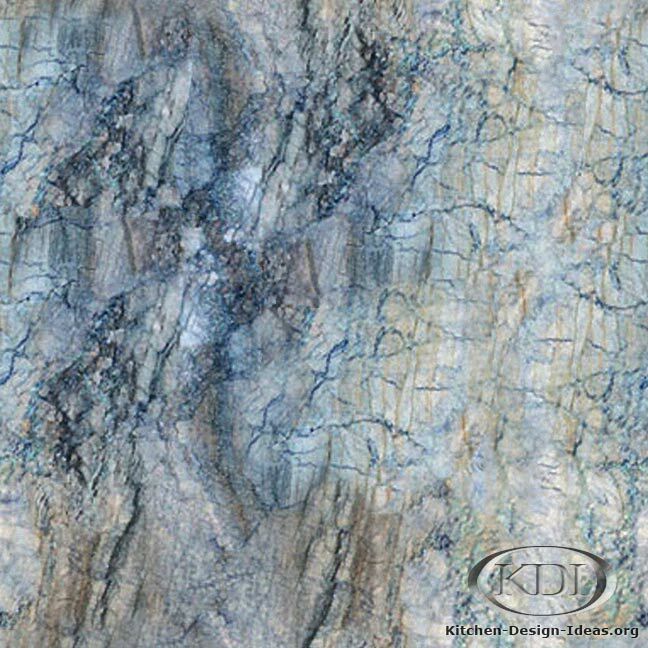 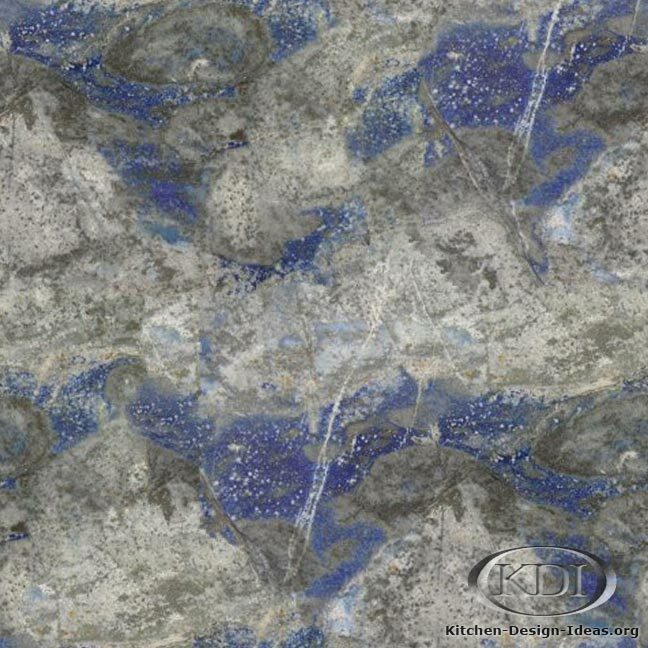 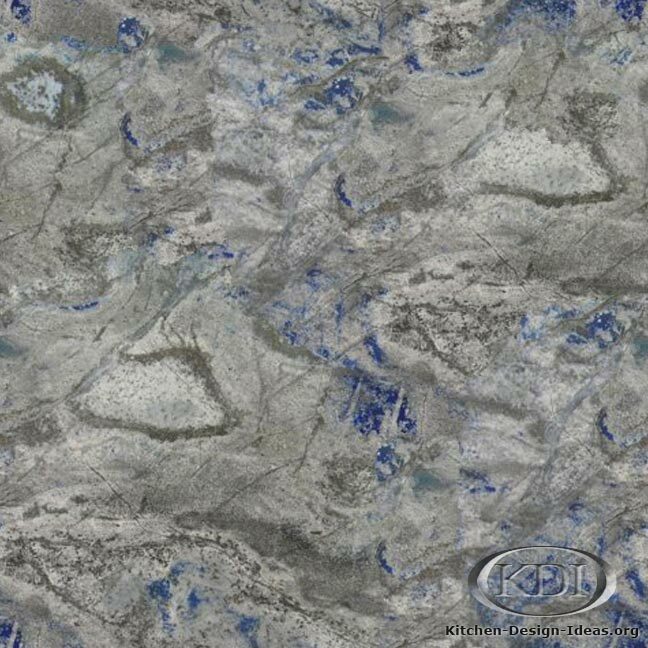 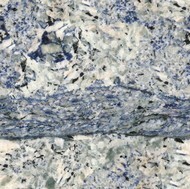 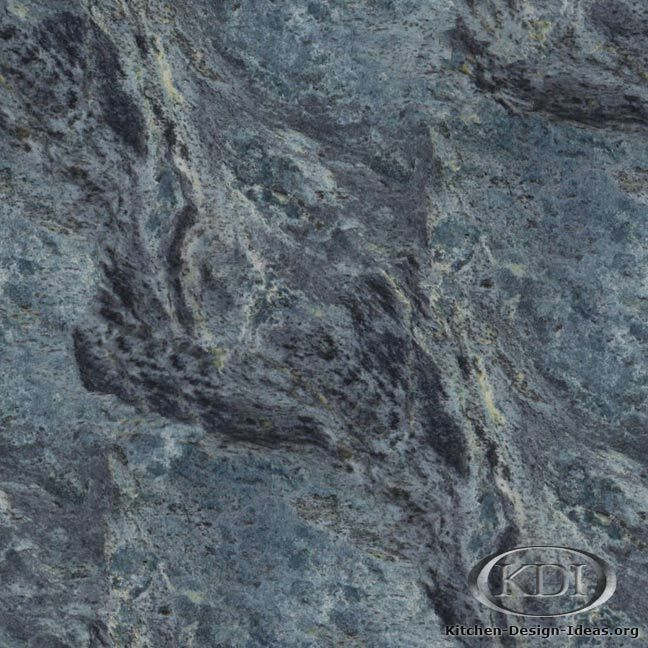 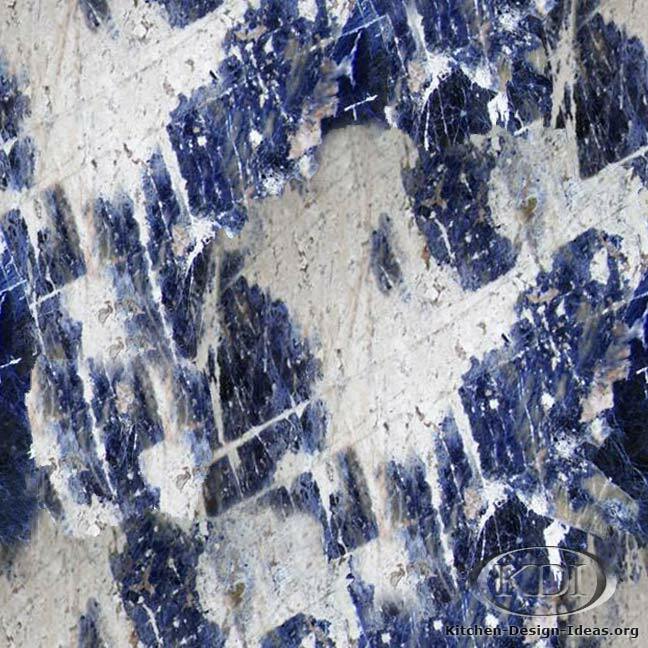 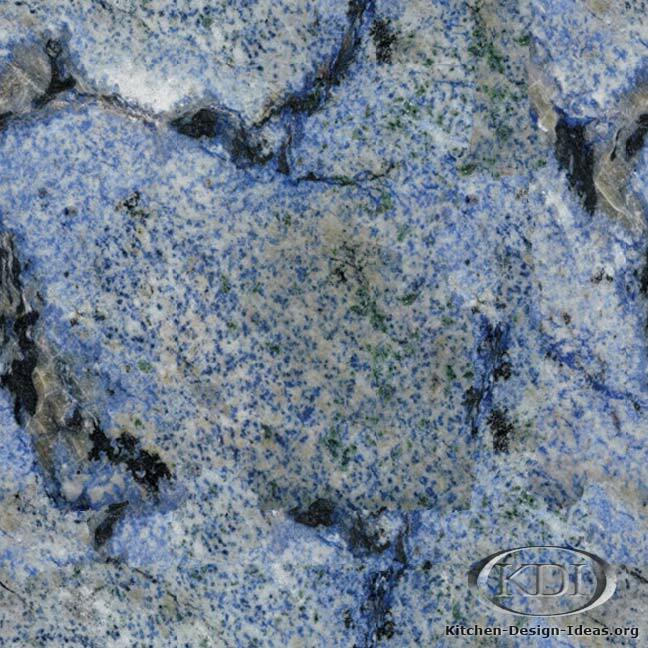 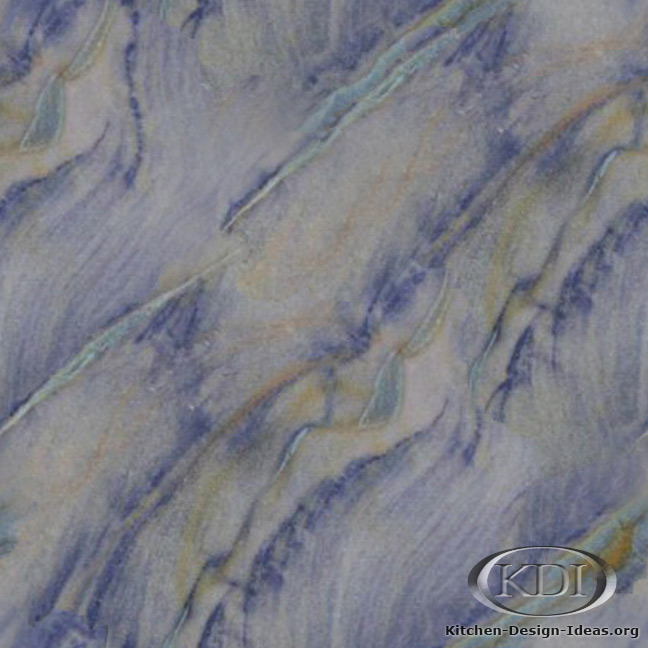 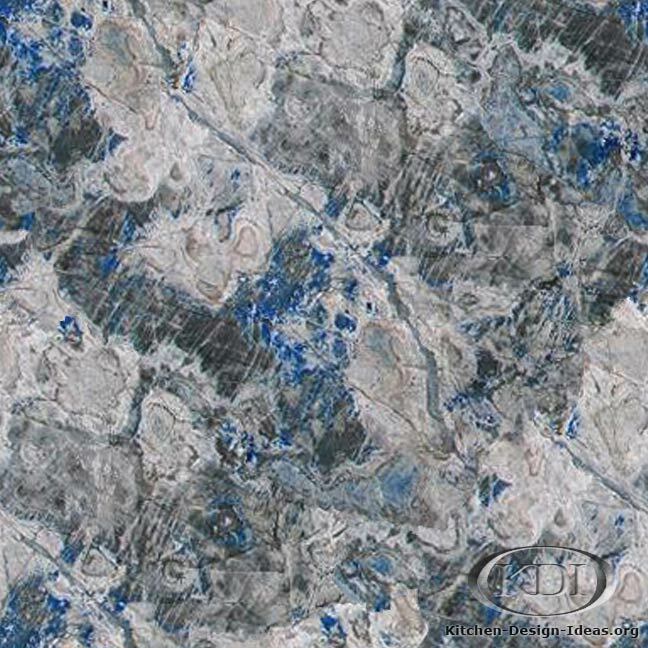 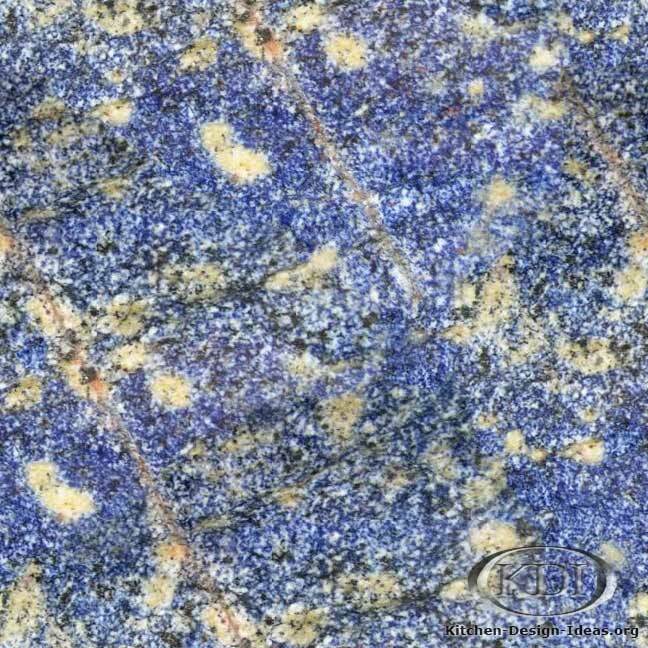 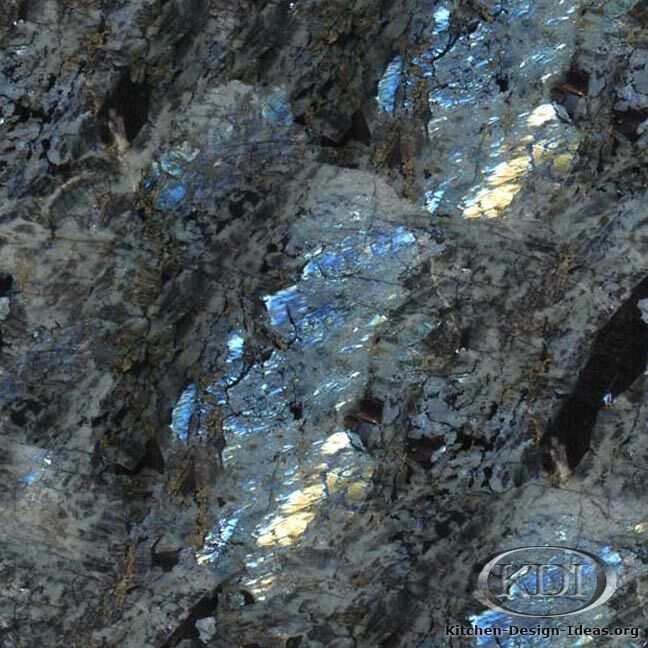 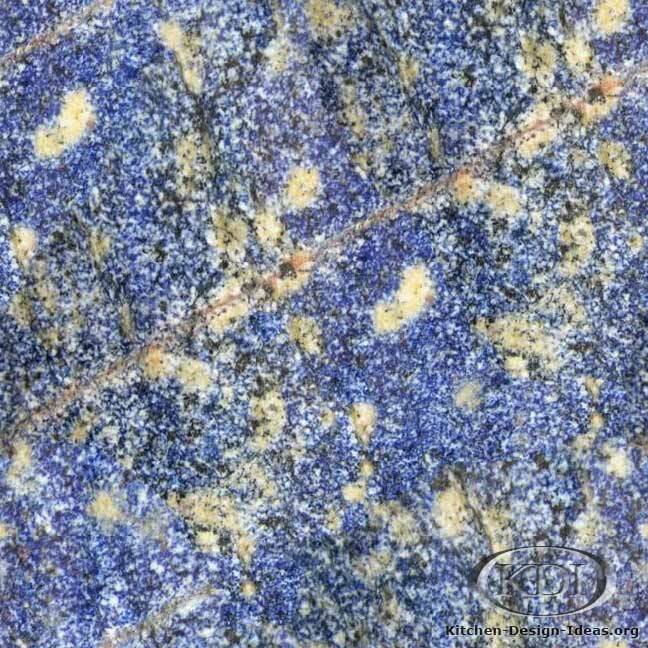 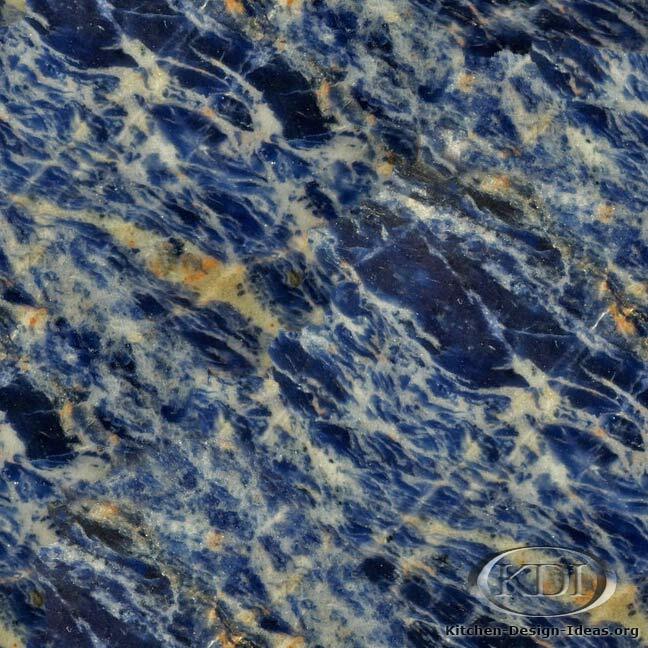 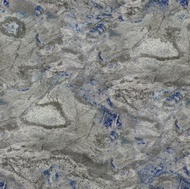 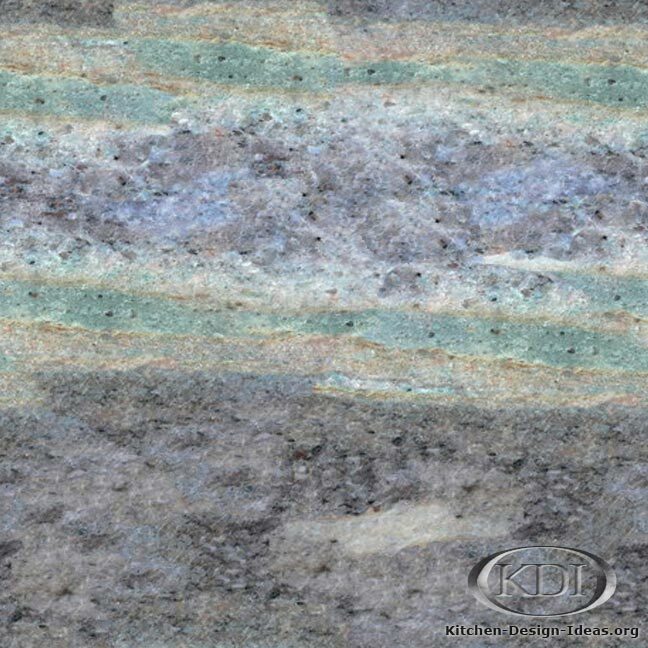 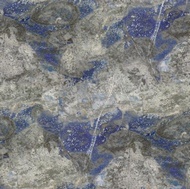 Designer Comments: Bursting with blue, black, and white minerals splashed together in prehistoric fashion, African Lapis granite is a blue-lover's dream. 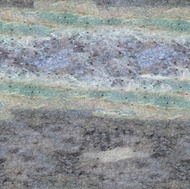 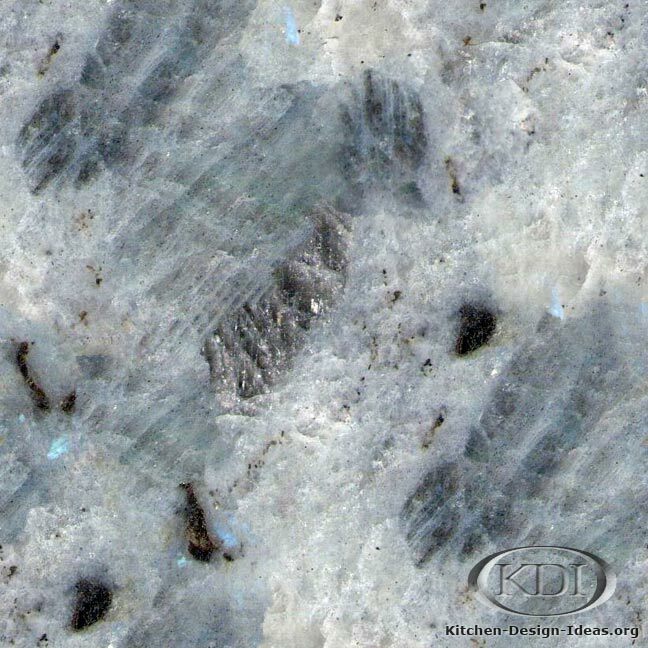 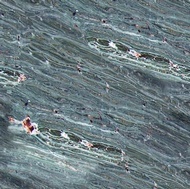 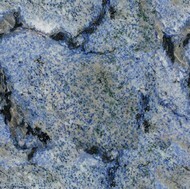 Not to be outdone, this exotic granite demands to be the focal point of any kitchen graced by its appearance. 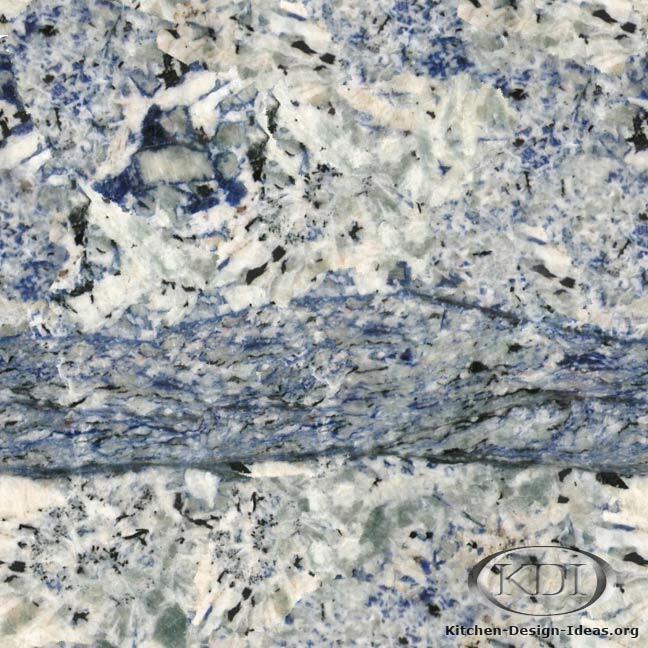 Consider combining this with white or dark wood cabinets with simple styling so as not to compete with this granite's tendency to rule the roost. 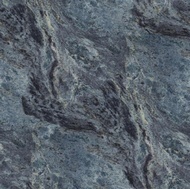 Don't fight it. 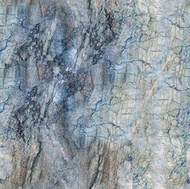 Embrace it. Caveat: Accuracy is not guaranteed. 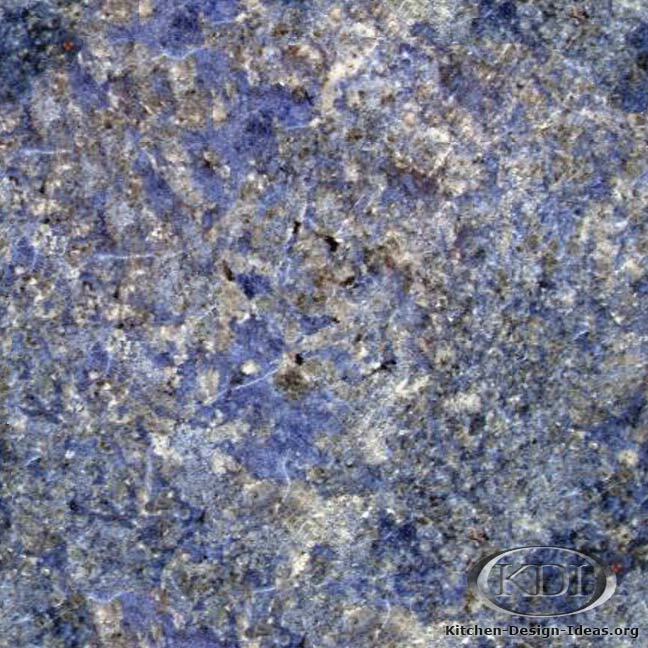 Granite is a natural material -- in this case with considerable variation -- and as such I promise you will never find granite that looks exactly like this photo. 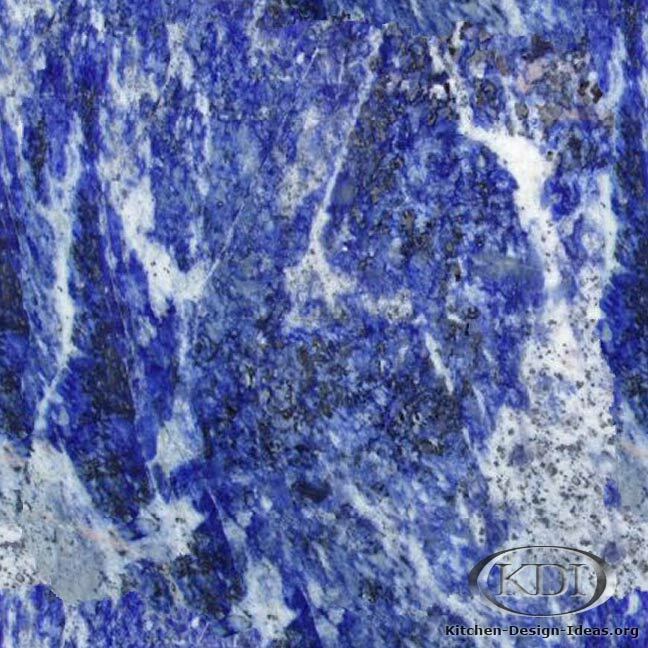 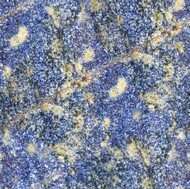 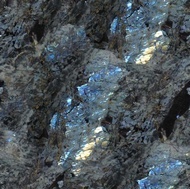 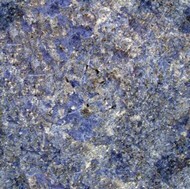 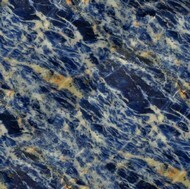 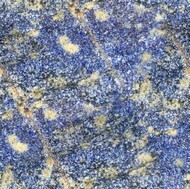 Any African Lapis at your local supplier may look nothing like what you were expecting. 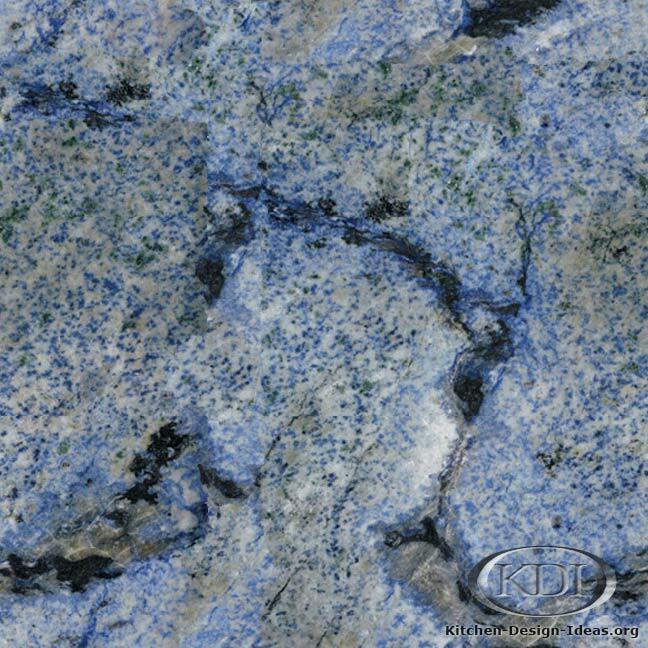 Make a point to select your own granite slabs in person to know exactly what you're getting for your kitchen remodeling project.